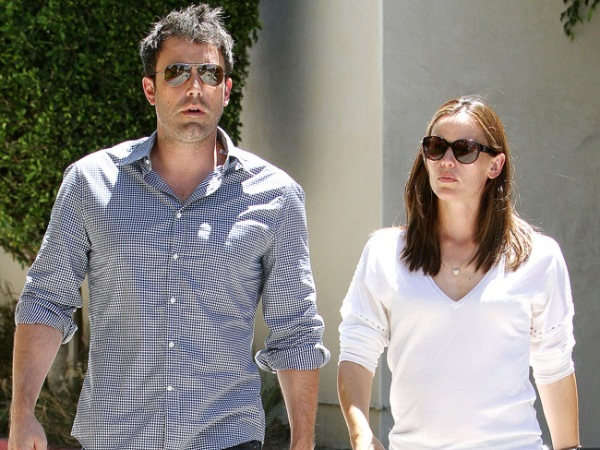 Ben Affleck and Jennifer Garner are to present separately at the Screen Actors Guild (SAG) Awards at the weekend. The Hollywood couple - who married in 2005 and have three children, Violet, nine, Seraphina, five, and two-year-old son Samuel together - are among the stars who will be handing out awards at the annual event. Although they will not be presenting together, they will be seated next to each other on the night, according to People. Oprah Winfrey and Kerry Washington will also present awards, as will Tom Hanks, Kevin Spacey and Sasha Alexander. Meanwhile, Jennifer will have a double duty on the night as she has also been nominated for the Outstanding Performance by a cast in a Motion Picture award for her portrayal of Dr. Eve Saks in 'Dallas Buyers Club'. Leading the nominations for the 2014 awards is '12 Years A Slave', which received four nods, followed by 'August: Osage County', Lee Daniels' 'The Butler' and 'Dallas Buyers Club'. Meryl Streep ('August: Osage County', 'Gravity' star Sandra Bullock, 'Blue Jasmine' actress Cate Blanchett, Dame Judi Dench ('Philomena') and Emma Thompson 'Saving Mr. Banks' will contest for the Outstanding Performance by a Female Actor gong and Tom Hanks ('Captain Phillips'), Chiwetel Ojiofor ('12 Years a Slave'), Bruce Dern ('Nebraska'), Matthew McConaughey ('Dallas Buyers Club') and Forest Whitaker ('The Butler') will battle it out in the Outstanding Performance by a Male Actor category.